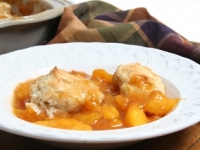 Place peaches on bottom of 10 x 6 x 1 1/2-inch baking dish. 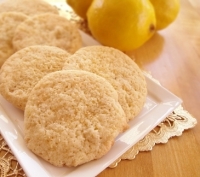 Sprinkle with lemon juice. Sift together dry ingredients; add egg, tossing with fork until crumbly. Sprinkle over peaches. 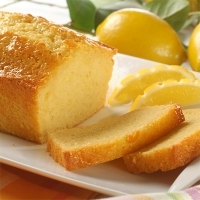 Drizzle with butter. Bake at 375° for 35 to 40 minutes. Serve with cream. 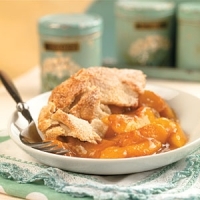 Recipe categories: Desserts, Cobblers and crisps, Peaches.